The practical aspects of some NMR experiments designed for the simultaneous acquisition of 2D COSY and 2D TOCSY spectra are presented and discussed. Several techniques involving afterglow‐based, CTP‐based and NOAH‐based strategies for the collection of different FIDs within the same scan are evaluated and compared. 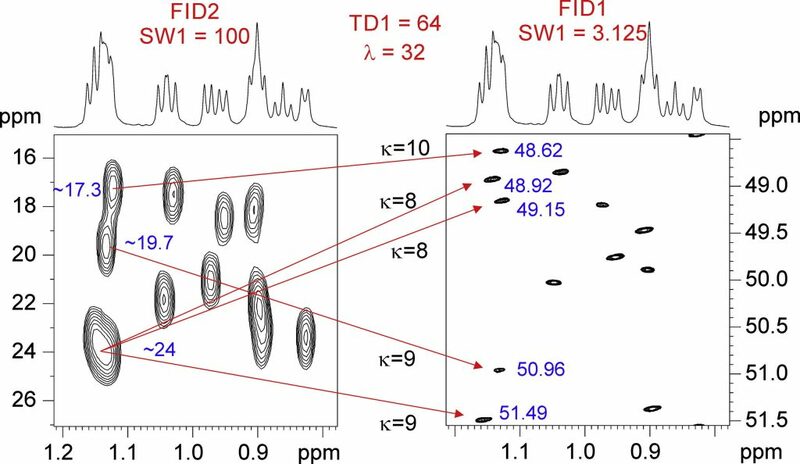 These methods offer a faster recording of these spectra in small‐molecule NMR when sensitivity is not a limiting factor, with a reduction in spectrometer time about 45%‐60% when compared to the conventional sequential acquisition of the parent experiments. It is also shown how the optimized design of an extended three‐FID approach yields one COSY and two TOCSY spectra simultaneously by combining CTP and NOAH principles in the same experiment, affording substantial sensitivity enhancements per time unit. ABSTRACT: A time-efficient NMR strategy that involves the interleaved acquisition of two 2D HSQC spectra having different spectral widths in the indirect 13C dimension is presented. We show how the two equivalent coherence transfer pathways involved in sensitivity-enhanced HSQC experiments are managed selectively and detected separately in different FID periods within the same scan. 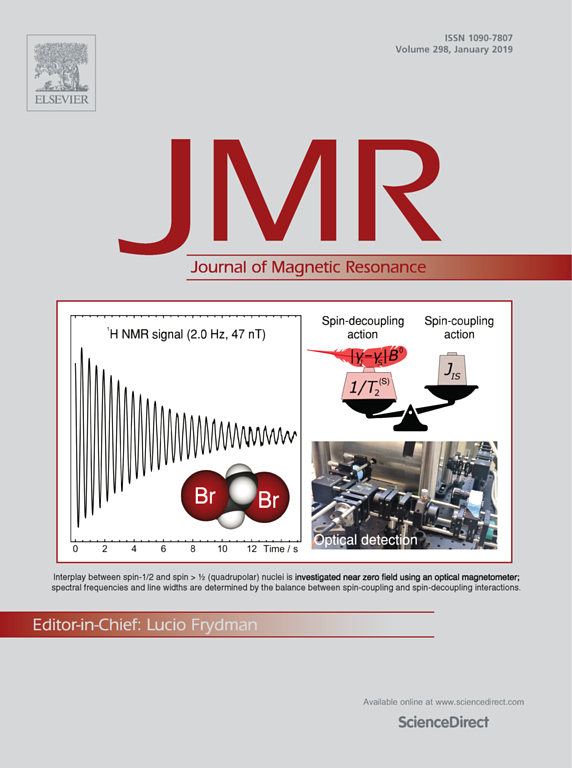 The feasibility of this new SADA-HSQC (Spectral Aliasing in Dually Acquired HSQC) technique is demonstrated by recording simultaneously two complementary datasets, conventional and highly-resolved spectral-aliased 2D HSQC spectra, in a single NMR experiment. Combining the information from both datasets, accurate chemical shift determination and excellent signal dispersion is achieved in a unique measurement using only few t1 increments.